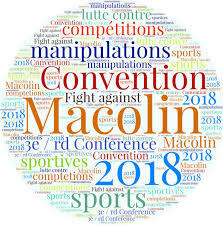 The Council of Europe Convention on the Manipulation of Sports Competitions (or Macolin Convention) is a multilateral treaty that aims to prevent, detect, and punish match fixing in sport. The convention was concluded in Macolin/Magglingen, Switzerland, on 18 September 2014. At its conclusion, it was immediately signed by 15 states of the Council of Europe; it is open to ratification of Council of Europe states and any other state in the world. The treaty will enter into force after being ratified by five states, three of which must be Council of Europe Member-states. Prior to the opening for signatures, there was a 2-year consultation on the drafting of its provisions (EL/WLA were part of the Consultative Committee). As of March 2019 33 states have signed (including Australia). We also have 4 states (Norway, Portugal, Moldova and Ukraine) that have ratified. 1more ratifications from any state of the world, will lead to the entry into force of the Convention. As soon as the Convention enters into force, this will trigger the Convention Follow-up Committee (where of course, EL will try to get an Observer status). The Members of the Follow-up Committee will be the states that have ratified the Convention and of course, this creates pressure for other states to ratify and be part of all follow-up and relevant decisions. The Council of Europe oversees the implementation of the Macolin Roadmap. It provides a structured framework allowing the main actors to better align their efforts and coordinate their actions. It is regarded as the most possible efficient strategy to promote the Convention and to assure its rapid entry into force. The Roadmap targets the building of networks and the technical assistance to countries that the Council of Europe carry out through the project “Keep Crime Out of Sport – manipulation of sports competitions 2018-2020” (KCOOS+). As a follow-up, the Convention Secretariat plans to build an action plan in relation with the 14 “priorities” identify by the Conference. The action plan should be based on synergies that national and international stakeholders are ready to set up. The Macolin Roadmap action plan should be regarded as an accelerator of what certain stakeholders could be doing, or come as a complement to what they are doing, or simply be developed in parallel to their on-going activities (avoiding overlaps). As much as possible, actions to be proposed should take into account what is already going on or take advantage of existing resources / activities, defining the possible leaderships and responsibilities. The Macolin Roadmap shall additional visibility and consistency to activities contributing to common objectives and responding to the main challenges highlighted during the Conference. The Secretariat of the Council of Europe (Sport Conventions Division, DGII) established the “Network of National Platforms” (henceforth referred to as the “Group of Copenhagen” in reference to the first meeting held in Copenhagen, Denmark, on 5 July 2016) to act within the framework of co-operation activities for the promotion of the Convention on the Manipulation of Sports Competitions (Macolin Convention). The Group of Copenhagen endorsed a betting and non-betting Alert and Surveillance System of suspicious activities providing practical tools which should increase the reactivity and the efficiency of the National Platforms, as well as their trans-national co-operation (including as part of monitoring of major international sport events. GLMS and Group of Copenhagen have in place an MoU with the objective to support the development of the LogBook. UNESCO had its 6th International Conference of Ministers and Senior Officials Responsible for Physical Education and Sport, MINEPS VI, in Kazan from 13 to 15 July 2017.
here the final version of the Kazan Action Plan. Among the specific goals are the enforcement of gender equality, the fostering of inclusive participation and the establishment of multi-stakeholder partnerships. Moreover, the action plan links sport and physical education to the UN Agenda 2030 on sustainable development goals by pointing at how sport can contribute to improved health and well-being, city environments, safe and inclusive societies, and other sustainability factors. 1.Elaborate an advocacy tool presenting evidence-based arguments for investments in physical education, physical activity and sport. 2.Develop common indicators for measuring the contribution of physical education, physical activity and sport to prioritized SDGs and targets. 4.Conduct a feasibility study on the establishment of a Global Observatory for Women, Sport, Physical Education and Physical Activity. 5.Develop a clearinghouse for sharing information according to the sport policy follow-up framework developed for MINEPS VI. Following the adoption of the kazan Action Plan in July 2017 – certain working groups have been set up with the objective to follow-up on the recommendations. The first meeting of the Working Group on Action 3 of the Kazan Action Plan ”Unify and further develop international standards supporting sport ministers’ interventions in the field of sport integrity” took place on April 25. The main objective of the first meeting was to identify and define “sports integrity” – at large (match-fixing, equality, spectators violence, good governance). 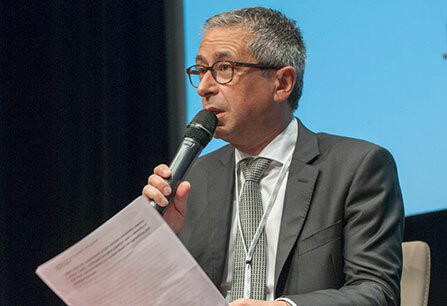 A second meeting was held in February 2019 in Paris. The working group discussed the concept of “sports integrity” and defined policy areas, which include the safeguarding of athletes, spectators and stakeholders, violence, doping, sport competition manipulations. The United Nations Convention against Corruption (entered into force in 2005) is a legally binding universal anti-corruption instrument. The Convention’s far-reaching approach and the mandatory character of many of its provisions make it a unique tool for developing a comprehensive response to a global problem. The vast majority of United Nations Member States are parties to the Convention. The Office of the UN on Drugs and Crime (UNODC) UNODC provides secretariat services to the Conference of the States Parties (COSP), the main decision-making body established under the Convention. UNODC is mandated to ensure the efficient functioning of the Implementation Review Mechanism, the mandatory peer-review process for all States Parties to the Convention against Corruption aimed at assessing their compliance with the provisions of the Convention. In particular, UNODC facilitates the conduct of the country reviews and also prepares thematic implementation reports and regional addenda, with the aim to reflect trends, challenges, good practices and technical assistance needs in implementation of the Convention. Indeed, specific reference to sports integrity and illegal betting was made at the international level with the adoption of resolution 7/8 on Corruption in Sport, by the Conference of States Parties to the United Nations Convention against Corruption at its seventh session, held in Vienna from 6 to 10 November 2017. The resolution represented a significant milestone in addressing corruption in sport, not least the fact that it was supported by, at that time, the 183 States parties to the Convention – also in line with the Council of Europe Convention on the Manipulation of Sport Competitions. The EU has been for years active in the field of sports integrity, be it via supporting relevant projects (e.g. through the ERASMUS+ programme) or by addressing relevant matters via its EU Work Plan for Sports. The EU addressed relevant matters at the White Paper on Sport (2007) and the Communication on Sport (2011). Issues Related to match-fixing have been addressed in all the EU Work Plans for Sport so far. In the first EU Work Plan (2011-2014), match-fixing-related matters were addressed at the EU Expert Group on Good Governance. The 2nd EU Work Plan for Sport included an Expert Group on Match-Fixing (2014-2017) as well. Currently the 3rd EU Work Plan for Sport (2017-2020) is on-going. EU has also supported on many occasions projects related to the fight against match-fixing. Apart from the on-going ERASMUS+ programme, already in 2012, during the preparatory action in the field of sport, the EU had funded 5 projects in the field of match-fixing. Those projects run in the years 2013-2014. The project “What national networks in the EU against match-fixing”, run by IRIS (and in which European Lotteries was a key partner) was one of those projects. The 3rd EU Work Plan for Sport (2017-2020) based on the Commission’s evaluation, has been adopted in May 2017 by the EU Ministers responsible for sport at the Education, Youth, Culture and Sport Council meeting. The new EU Work Plan for Sport which will came into force on July 1, set out the key topics which Member States and the Commission should prioritise until 2020: integrity of sport will focus on good governance, safeguarding minors, fighting matchfixing, doping & corruption; economic dimension focussing on innovation in sport, and sport & digital single market; sport & society focussing on social inclusion, coaches, media, environment, health, education & sport diplomacy. There are 2 Expert Groups (integrity and skills and workforce development in sport), and new working methods will be introduced, including cluster meetings. The Commission has been advised to ensure the follow–up of the two High Level Groups, on sport diplomacy and grassroots sport. To download the new EU Work Plan for Sport 2017-2020, click here or see ec.europa.eu. This Expert Group will be addressing sports integrity at large, therefore good governance matters, doping and issues related to spectators violence will be also part of the discussions. The first meeting of the EU Expert Group Sports Integrity (under the EU Work Plan 2017-2020) was held on 23-24 April in Varna. The meeting had a focus on the national platforms, including some practical examples. The 2nd meeting of the EU Expert Group on Sports Integrity took place on 11-12 October 2018 in Palermo, Italy. The Council of Europe presented the results of the CoE International Convention on the Promotion & Implementation of the Convention, whereas member-states also presented some developments at a national level. The Commission presented the results of the ERASMUS+ 2018. 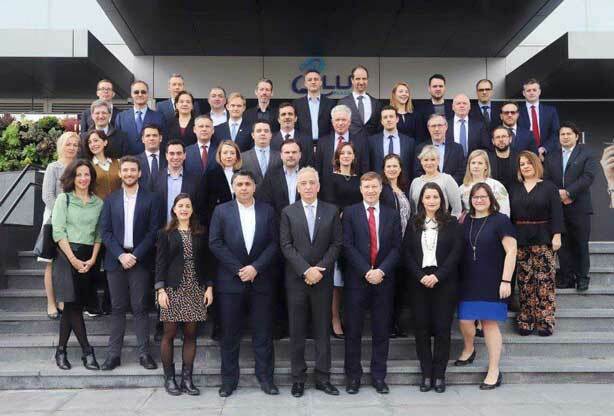 The 3rd meeting of the EU Expert Group on Sports Integrity took place on 21-22 February 2019 in Larnaca, Cyprus. Relevant stakeholders had the chance to present their projects and provide updates on their work. GLMS – which has an Observer status in the Group also had the chance to inform the Expert Group Members and Observers of the latest developments of its work. On this occasion, the Study “Mapping of corruption in sport in the EU” which was commissioned by the Commission and was delivered by ECORYS and Loughborough Universiy was also presented. The key objective of this small-scale research study has been to complete a mapping review of the types of corruption that exist in different EU Member States. With reference to match-fixing, the study has emphasised the complex interplay of factors and contextual issues that can influence match-fixing activity. The research has also provided insights in to the diversity of match-fixing practices and its association with other types of corruption such as bribery. Specific examples of match-fixing have also revealed the importance of factors such as pay levels of athletes and the level of media exposure of specific matches. Illegal betting is also identified as a means of corruption in sport in EU28. In the past at the level of the Council of Ministers, a number of Presidencies of the EU have also addressed the matter. The IOC being well aware of its social mission towards society has been very active and serious with reference to this problem of sport competition manipulations, which is jeopardising the very credibility of sport. The philosophy of protecting clean athletes and sports integrity was reaffirmed in December 2014 through the adoption of Olympic Agenda 2020, the IOC’s strategic roadmap for the future of the Olympic Movement. Recommendations 15 and 16 of this Olympic Agenda 2020 specifically refer to the ultimate goal: The protection of the clean athletes. Federations have to be compliant with this Code and the OM Unit PMC is overseeing this process. (2)Raise awareness, build capacity and undertake training. This includes numerous activities and capacity building programmes, for example during the YOG, but also a cooperation with INTERPOL (‘Integrity in Sport’). (3)Ensure information exchange, investigation and prosecution capacities (which includes the ‘Integrity Betting Intelligence System’ IBIS, and the IOC’s Reporting Mechanism. In its bid to strengthen the integrity and credibility of sport and for the successful protection of clean athletes, the International Olympic Committee (IOC) in December 2015 published the Olympic Movement Code on the Prevention of the Manipulation of Competitions. A first of its kind, the Code aims to provide the Olympic Movement and its members with harmonised regulations to protect all competitions from the risk of manipulation. Any sports organisation bound by the Olympic Charter is expected to respect the provisions of the new Code. This Code is implemented in the Olympic Charter (on the same level as the World Anti-Doping Code). Therefore all International Sport Federations have to be compliant with this Code and the OM Unit PMC is overseeing this process. At the initiative of the International Olympic Committee, the 1st International Forum for Sports Integrity (IFSI) was held in Lausanne on Monday, 13th April 2015. The meeting was chaired by IOC President Thomas Bach and included representatives from world governments, the Council of Europe, the European Union, INTERPOL, Europol, United Nations agencies, sports betting operators, Olympic Movement stakeholders and others. Lotteries were also represented of course. The Forum prepared a roadmap for future action aimed at strengthening and coordinating all activities to protect clean athletes from match-fixing, manipulation of competitions and related corruption. More information on 1st edition of IFSI and roadmap adopted here. The IFSI forms part of Recommendation 16 of Olympic Agenda 2020, the IOC’s strategic roadmap for the future of the Olympic Movement. The way forward and the UK Anti-Corruption Summit. The IOC Ethics and Compliance Office (being in charge of the organization of the 2nd edition of the IFSI) was planning to organize the 2nd edition of the IFSi in 2017, again with a focus on match-fixing. However, as the good governance issue was getting bigger and bigger due to numerous corruption scandals, and as the UK Anti-Corruption Summit convened by the UK Prime Minister in May 2016 which in its communiqué referred to the IFSI and gave it from the one hand more political value and from the other hand a joint focus on match-fixing issues and general ethical conduct-good governance in sport, the focus of the 2017 IFSI would be both match-fixing and good governance in sport. Lotteries (GLMS / EL) were an active part of the Expert Groups 2 and 3. 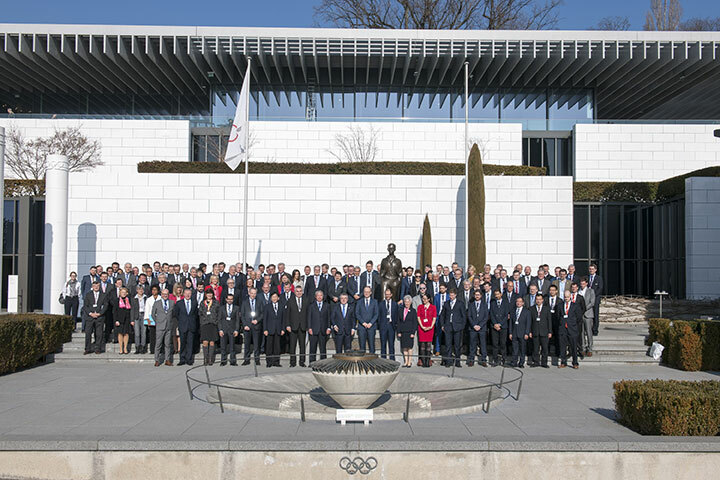 The second International Forum for Sports Integrity (IFSI), hosted by the IOC, took place in the Olympic Museum in Lausanne on Wednesday as it looked to agree the next steps on the prevention of competition manipulation and corruption in sport. The Forum agreed on the creation of an Olympic Movement Unit on the Prevention of the Manipulation of Competitions and the launch of an International Sports Integrity Partnership to combat the problem. Lotteries (GLMS / EL / WLA) actively participated in this forum. The IOC has developed its Integrity Betting Intelligence System (IBIS) which seeks to enhance monitoring and information exchange between law enforcement, sports organisations, betting operators and sports betting regulating entities. IBIS collects and distributes information and intelligence related to sports betting for use by all stakeholders of the Olympic Movement. It also enables communication between all partners on the sports side and the different sports betting entities, including GLMS and Lotteries of course. Currently IBIS brings together all summer and winter Olympic IFs and all major betting operators and regulatory authorities as well as law enforcement. Practically, regulators and operators undertake to pass on all alerts and relevant information on potential manipulation connected to sports betting on specific events chosen by each IF. The IOC undertakes to aggregate and analyse the information received before passing it on to the IFs concerned. Launched in 2013, IBIS is continuously expanding and enhancing its activities to safeguard the Olympic and sports movement. At the same time, its novelty consists in the establishment of ‘Single Points of Contacts’ for each stakeholder involved which facilitates and speeds up all the process. Beyond all these processes within IBIS, it also facilitates the establishment of a relation of trust among stakeholders, which is also of key significance. UEFA has many education and prevention trainings in place. Training is delivered for the about 6’000 new players attending one of the 6 major UEFA competitions each year – but also trainings are also targeting national teams participating in UEFA competitions, as well as referees. UEFA finances for all its 55 Member Associations one, sometimes two, Integrity Officers. The Integrity Officer Receives BFDS reports regarding domestic matches and initiates disciplinary investigations, is supposed to monitor disciplinary proceedings, constitutes the main point of contact for cooperation with state law enforcement agencies regarding criminal procedures and organises educational programmes for players, referees and coaches. UEFA organises an annual workshop involving all integrity officers. On 7 February UEFA unveiled its strategy 2019-2024. Its strategy revolves around the concepts of football-trust-competitiveness-prosperity. One of the policies – under the key concept “faith – announced is also the need to safeguard the good governance and integrity in sport – develop existing and identify new means to protect the integrity of European football competitions. Improve the ability to detect suspicious activity in relation to doping and match-fixing using advanced technology. The full UEFA strategic document can be found here. In February 2016, the ATP, the WTA, the ITF, and the Grand Slam Board, appointed an Independent Review Panel to address betting-related and other integrity issues facing the sport. The Panel conducted an Independent Review of Integrity in Tennis, addressing the nature and extent of the problem over time and submitted its Interim Report on April 25. GLMS made a submission to the relevant consultation, which can be viewed here. Following the publication of the Interim Report of the Independent Review of Integrity in Tennis on April 25, the Independent Review Panel published on December 19, its final report. The Recommendations of the Final Report of the Panel include the removal of incentives for breaches of integrity, the establishment of a newly-empowered TIU with an independent supervisory board, education measures, greater co-operation and collaboration with the betting sector. National authorities are also recommended to develop national regulation and ratify the Council of Europe Convention on the Manipulation of Sport Competitions. The Panel has identified no evidence of any institutional corruption or cover-up by the tennis authorities or the Tennis Integrity Unit (TIU).